When it comes to face masks, I’m pretty new to the scene. I’e always had sensitive skin and my very first experience of a well known brand peel off face mask as a teen left me with a red and itchy rash. This experience as a well as a clay mask reaction early in my blogging career have left me somewhat wary of masks, clay based ones especially. More recently though I’ve used the Dr Bragi Marine Enzyme Intensive Treatment and Indeed Labs Hydraluron Moisture Booster Masks with complete success, so I’ve been keen to try out more! My latest mask addition is the fab Antipodes Manuka Honey Mask, which features manuka honey to draw moisture to the skin to hydrate, heal, and act as an anti-wrinke agent. It also includes ruby red pohutukawa flowers which offer antioxidant benefits and antiseptic properties. This mask promises to cleanse whilst being intensely moisturising and revive tired skin, leaving your skin de-stressed and hydrated. Oh and it also helps get rid of blemishes too, bonus! So it sounds pretty fantastic really! As well as the skincare benefits, the scent of vanilla pod and mandarin sounded lush so I decided to give it a whirl! Firstly, I love that this mask isn’t the type that dries and tightens – I know this is normal for some masks but as soon as I feel tightening I get nervous as this is often the beginning of an allergic reaction on my sensitive skin! Not this one though, the Manuka Mask is more like a super rich moisturiser that you simply smooth over the face and neck, leave for 15 minutes and rinse. Easy peasy! The mask left my skin feeling clean, hydrated and refreshed, and it didn’t stress my skin out at all. I’ve used it a couple of times now and each time my skin feels calm and balanced after use. Oh and did I mention it smells divine?? 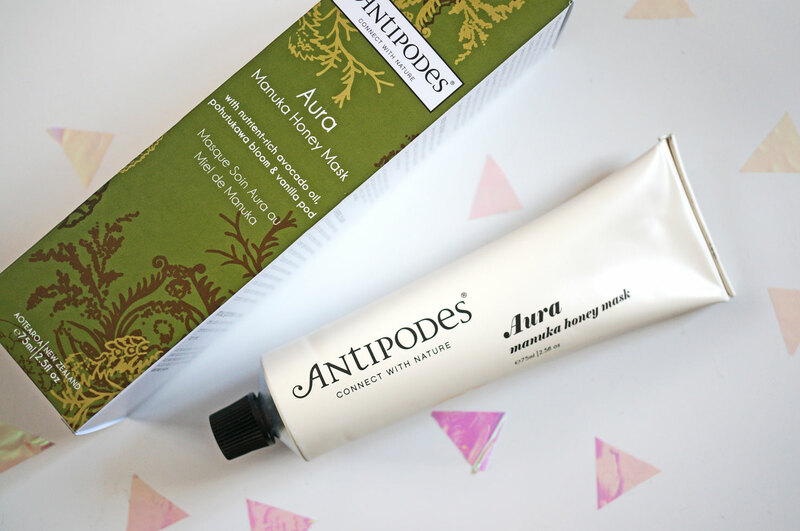 Antipodes recommend this mask for all skin types too which is great news – I have sensitive / dry skin and I know it works well for me! I’d highly recommend this if you’re looking for for a fab all round mask that helps to fight blemished and offer extra hydration. Next Post A Day in London & #bloggersfestival Fun!